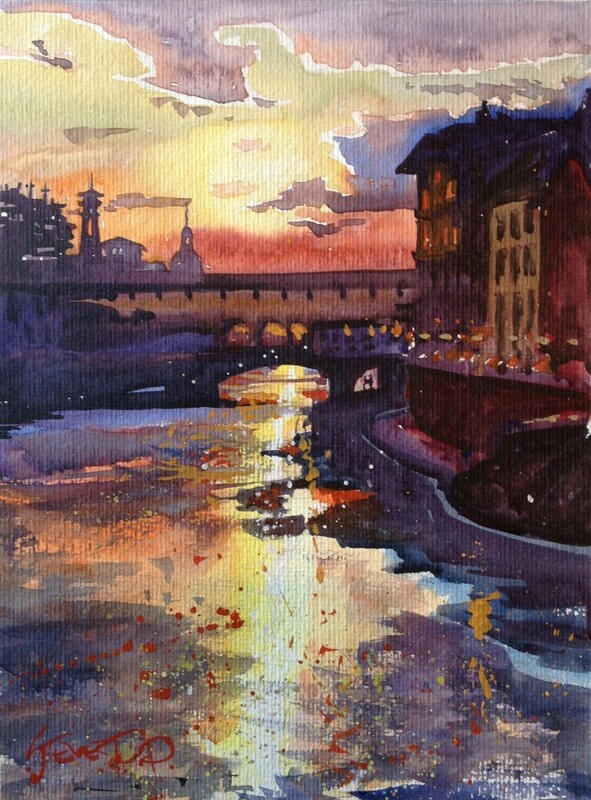 The splendour of a sunset over the famed Ponte Vecchio bridge on the River Arno, Florence, Italy. How many romantic walks and proposals have been made here? All prints are posted flat packed within three working days. 10 x 8" x / 14 x 10"
Prints are unframed. Printed on 300gsm 100% Cotton Paper. Free Shipping. Prints will ship flat packed within 3 working days.